6. Channing Crowder. Many of you on my twitter, which you should be following are asking if Crowder will be cut based on his agreement with Porter on several issues during their radio appearance this week. That is not Crowder's biggest concern. His concern should be having a great offseason so that next year he can start 16 games, which he has not done since arriving in 2005. Crowder finished fifth on the team in tackles last season. Fifth. He had fewer than half the tackles he had in 2008. It was a bad year for him. That's the type of stuff that gets you replaced, not a couple of sentences on one radio show. Bottom line: I think Crowder stays. 7. Ted Ginn Jr. Dan Marino, one of the greatest quarterbacks of all time, recently said Ginn has the makings of a No. 1 receiver, that all he needs is time to develop. Salguero the peon disagrees. Oh, Ginn has the speed. But he doesn't seem to have the temperment or quickness or hands to be a No. 1 receiver. Now, I would never question what's in a man's heart. But I've seen this guy run out of bounds too many times when he could have gained an extra couple of yards. I've seen him drop too many passes in pressure situations. And last year he he regressed rather than progressed. I'm not drinking the Kool-Aid any more. I leave that to Marino. 8. Ronnie Brown. Many of you have asked if the Dolphins are going to re-sign him to a new contract. He is under contract for 2010 if there is no salary cap. And it is a virtual certainty there will be no salary cap. So I ask you, what is Miami's motivation for giving him a new long-term contract now? It seems wiser to let him come to training camp and prove himself (yes, again). It also seems wiser to get a better grasp on what the labor agreement is going to look like. Signing him to a long-term deal now is simply not wise. I assume the Dolphins recognize this. 9. Chad Pennington. He only works for the Dolphins under a strict set of circumstances: That he is healthy, first and foremost. And that he accepts that he is the backup to Chad Henne. Pennington is one of those guys that gets it. He won't be trouble as a backup. He won't step on Henne's toes. And he would bring value as an insurance policy against a Henne injury that neither Pat White nor Tyler Thigpen can offer. He is experienced. He is a great leader. But his return is absolutely, positively not done. I would say his return right now is 50-50 at best. 10. Jason Taylor. He is the antithesis to Joey Porter in that he doesn't go off like a cocked pistol ready to shoot everything in order to hit a small target. Taylor is more calculating. He was every bit as angry in 2010 as Porter because he was, in fact, platooned more than Porter. Taylor lost more snaps than Porter did as the Dolphins used third-down to get Cameron Wake and even Charlie Anderson more snaps. That made Taylor so unhappy he cooled on returning for 2010. Now, he obviously understands that if Porter isn't coming back, his chances of returning on a one-year contract improve. But the Dolphins are making no commitment to Taylor. And he, frankly, is making none to them. He'd like to be back in Miami if he's going to get an opportunity to rush the passer and play significant downs. If that's not the case, life will not end for Taylor. He will play somewhere. But to pretend to know where is crazy at this early stage in the process. I might consider that 3rd rounder for Boldin and see if I can use another player to acquire an extra pick, granted it will be a lower pick. I'd package Ginn and a 4th as well. A 3rd for Boldin would be nice... he is pushing 30 but he'd a nice guy to add to this receiving core. I would do a 3rd round pick for Anquan in a heartbeat. He is Parcells/Sparano type of guy, tough, physical, makes plays and gives you nice YAC. He also is great blocking down field in the run game and is a great teammate. He has battled injuries the last few years, but none have resulted in surguries as far as knee or ankles or anything of that nature. Tremendous productivity and a pros pro and Chad Henne would love him. I might be in the minority here, but I would bring Ted Ginn back also. 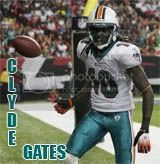 He still a work in progress, but he is the vertical threat for Miami and he has been dangerous as a kickoff return guy. I do not want Boldin, especially if it means giving up picks. He's injured too often, and cries too often. We've already seen what a whiny non-team player can do to a team when things go a little south with Joey Porter...I don't want someone else like that AND lose picks in the process. That said, if I'd be willing to sign him as a free agent, or Marshall as a free agent, but definitely neither if there are picks involved. I would do a 3rd round pick for Anquan in a heartbeat. I definitely agree on that. I wouldn't offer more than that. I'd give a 2nd for Boldin too be honest. Sure we MIGHT be able to draft a better receiver, but how long with that guy take to develop. Boldin is exactly the type of receiver this team needs right now. Then I'd put Steve Smith somewhere in between. He does some ridiculous things, but he came from a hard background, very hard...and yet for the most part he stays out of trouble and comes to work EVERY day. So I think the ratio of receivers that whine to ones that just do work is in favor of the ones that do work. The humble guys aren't available because teams realize what a commodity they are. I only mentioned the Ginn/4th option because I could see Miami lowballing and Arizona saying okay but throw in Ginn. Boldin might open up Ginn's game. Anquan Boldin is not a crybaby. During the off season he wanted the Cardinals to redo his contract and if that does not make him a crybaby. If you have a problem because of that situation, that is more of a you problem. Also, the incident on the sideline between Boldin and the OC happens during the course of a game. Kurt Warner got into it with his OC in that same game. I looked at your post again, and you put Boldin in the class of Owens, Marshall and Chad Johnson among a few others. That's a joke. It's one thing for a quarterback to come to the sideline and have a conversation with the OC and talk about your frustrations with the offense. It's another to be in his ear about why you aren't on the field when the offense is MOVING the ball. That's distracting the coordinator while he's trying to call plays, it's being selfish, and being a cry baby. If you're offense is moving the ball for a game winning score, you should be rooting them on, not complaining about your playing time with the OC who is trying to call plays. It is most certainly not a joke to have him listed in the same group of receivers. 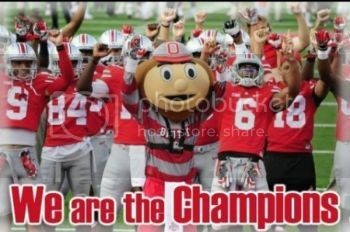 In their championship game last year. I'm with SC on this one. I don't know, it wasn't just a game. It was the championship game and a trip to the big one on the line for a cardinals orginization. If he was a distraction that is a big shame on him. But with that said, I'd love to see the guy in Miami. Looking from the outside AZ has handled this situation wrong. One BIG incident and all his cries to be traded because he feels the team doesn't care about him. I'm sure a lot of unemployed people would love to argue with their boss and still get paid 12 million over 2 years. The only thing that is a joke is Boldin's ego. I don't know what exadurating is, but if you mean exaggerating, please explain how so. How is yelling at your offensive coordinator in an NFC championship game because you're not playing when your TEAM has a chance to go to the Super Bowl and you play for the Arizona Cardinals, a team that has been miserable since the 40's, not a big deal? It's a huge deal. It totally illuminates his selfishness. Then he said his team doesn't care about him. I'm not making that up, that's a fact. He felt he was getting paid enough. But 12 million in 2 years? Shut up and play. Boldin for a 3rd or 4th round pick would be worth exploring, but I am not so sure that he is that Dez Bryant type of talent Miami needs to stretch the field. Boldin playing as the number two guy behind a deep threat like Fitzgerald makes alot of sense, but I am not sold that Boldin would be the number one receiver we need. However, that being said, if we got him for a 4th rounder AND still drafted Dez Bryant or another big speedy receiver, then Boldin would be a tremendous asset to have on the field. I dont see that scenario happening of course, but you never know what the Miami braintrust is thinking. Iowafin, if you think the incident with Anquan Boldin and the OC on the sideline is a rare event, you are sadly mistaken. As I said earlier in my post, he got into it with Kurt Warner as well. Boldin wanted to be on the field because he makes plays, so I am never going to fault a player for wanting to be on the field for that reason. As far as the contract, yeah a lot of people are catching hell right now due to the economy, myself included. But what does that have to do with Boldin wanting to be paid what he is worth? Larry Fitzgerald is a tremendous wide receiver, probably a tad behind Andre Johnson in my opinion in regards to being the best in the game. But there is no way in hell that his contract should dwarf Bolding by the amount it does and if I am Anquan I am upset as well. If one of your co-workers were getting paid a lot more than you and you know they are not that much better than you or you are there equal, I would hope you would not be happy. I'm not changing your mind on Boldin and you are not changing mine. You can think what you want. As far as Dez Bryant is concerned, most on the board know how I feel about Bryant. I hope and believe there is a good chance he can be the pick at #12. There is no WR in this draft close to him and he would have been the 1st WR taken in last year draft over Michael Crabtree. Wow dude, do you ever have ANYTHING positive to say? Your posts are becoming a waste of my time seriously. Is it that bad in Iowa???? Agreed. If you think my posts are a waste of time, don't read them. Sorry boss, just can't stand negative people. We understand Jim, but we welcome opposing opinions... they keep the board interesting and keep us all from living in a fantasy world. Just try not to make it personal. Thanks!